Every month I make a list of goals. Some I stick to and some I don't, but it's something I enjoy doing as it focuses my mind for the weeks ahead. This month I've decided to do something a little different in celebration of the leap year. 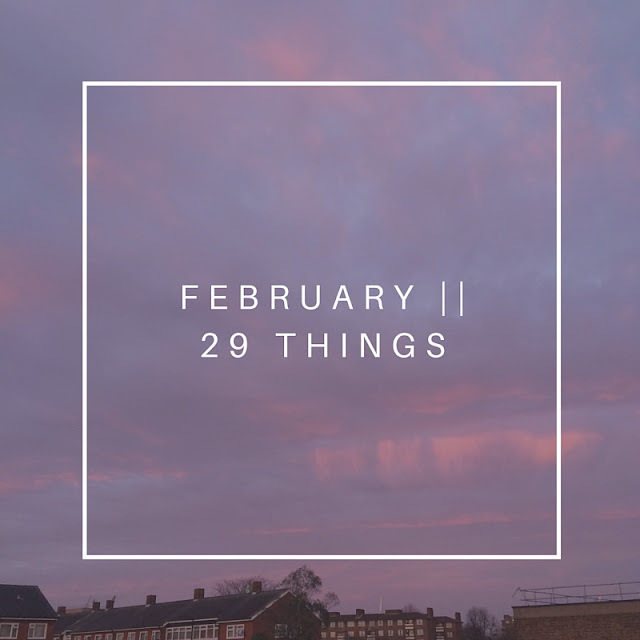 I've written a list of 29 things to do in February - some are small things, some are bigger, some will be difficult and others will be easy - with the 29th thing being to take a leap. It's time to shake things up a bit and make this year the year I want it to be.